It was a celebratory Monday evening in New York for Jake Tapper. He got to hang out with some of his oldest friends from the Akiba Hebrew Academy (his high school) and from Dartmouth, as well as newer ones from CNN. They all gathered together for some food and drink at the WeWork building in Bryant Park this evening to celebrate Tapper’s new book, The Hellfire Club. 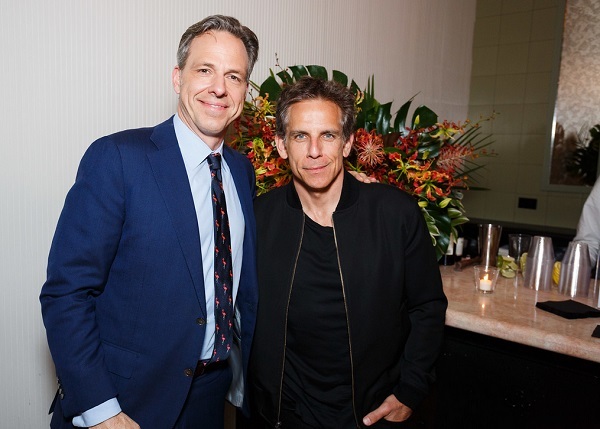 Others in attendance included actor Ben Stiller, Reliable Sources host/senior media correspondent Brian Stelter, CNN Newsroom anchor Kate Bolduan, The Lead executive producer Federico Quadrani, HLN host S.E. Cupp (who reminded me this particular WeWork building once housed the Republican Club) and The View co-host Meghan McCain.